20 Master Plots: Before I read this book, I really couldn’t craft a plot if you had a knife to my throat. Like many writers I struggled with untangling the nuances of plot. I thought of it as an imposed structure, instead of something that grows naturally and organically from the characters and their needs. 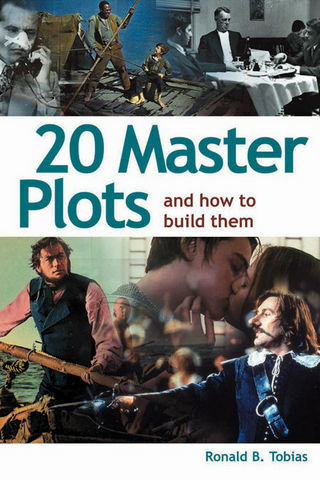 20 Master Plots doesn’t pretend that it has found the secret formula or the magic number of plots that exist. It does manage to pick 20 good ones that you can spend the rest of your life working with quite easily. Plot Versus Character: This book really demonstrated how plot and character work together to form a well crafted story. It helped me consider personality traits in a structured way, create emotional journeys for my characters and build strong three act structures. It’s also entertaining and well written. It’s hard to take a writer who can’t write seriously, especially when he is talking about the subject of writing itself. The best parts of this book talks about how to “bring the pain” to your characters. In the end, Gerke sums it up beautifully when he says that stories are all about building characters with emotional depth and complexity, setting them on a journey and then doing everything you can to stop them from getting there. In essence, your job as a writer is to deliver as much pain and as many roadblocks as you can to your characters, so they have to fight for something they want. It’s insights like these that make this book a gem. 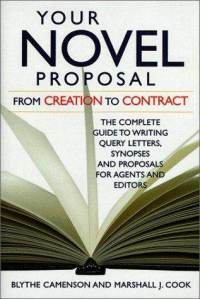 Your Novel Proposal and The Sell Your Novel Tool Kit: These books are about the process of selling your writing. What does a synopsis look like? What is a good query? Who should you target and why? Too many writers spend no time at all on selling their work. After spending a year or more on something you’ve fought for and loved like one of your own children, it’s criminal to take a half-assed approach to selling your work. The single most important piece of writing you will ever produce is your query letter. Of course, writing a query is a different kind of writing all together. Writers get wrapped up in having to boil their book down to a paragraph or two, not realizing that they do the same when they are browsing the aisles at Barnes and Noble or browsing Amazon. You owe it to yourself to spend as much time learning the craft of selling your work as you did on learning to write. When I was a kid I had a back and forth email dialogue with one of my favorite writers Bruce Sterling. After a few emails I sent him a long, stupid, embarrassing email that went on and on about how much I wanted to be a writer and how hard I practiced. He sent me back a short response. “The key is to write and SELL your writing. Connect with me in a few years if you are still at this game.” Best advice I ever got. Story, by Robert McKee: This is a big, brawling book on writing. McKee is opinionated and pulls no punches. If you saw the movie Adaptation, you saw a good depiction of McKee. He’s not afraid to tell you what’s wrong with your work. And you know what? More often than not, he is right. You just can’t take it. 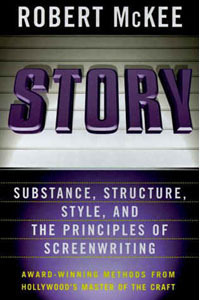 While the book focuses on screenwriting, his tips are equally useful for any type of fiction writer. The book crystallizes the lessons McKee teaches at his well regarded writing seminars. A long list of film and television projects that McKee’s students have written, directed, or produced includes Air Force One, The Deer Hunter, E.R., A Fish Called Wanda, Forrest Gump, NYPD Blue, and Sleepless in Seattle and of course Adaptation. I’ll take those odds any day. 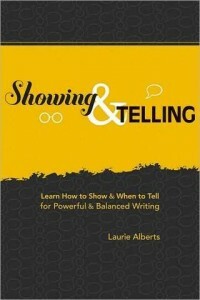 Showing and Telling: I’m putting this one up a little prematurely, since I’m reading it as we speak, but it’s so good that I just have to put it on the list. Almost every writer I know struggles with when to show and when to tell. They’re usually getting bad advice here too. A friend from my writer’s group told me to turn everything into a scene. While this is good advice a lot of the time, it’s not good advice all the time. Sometimes it’s better to summarize a few key points swiftly, creating bridges between scenes. 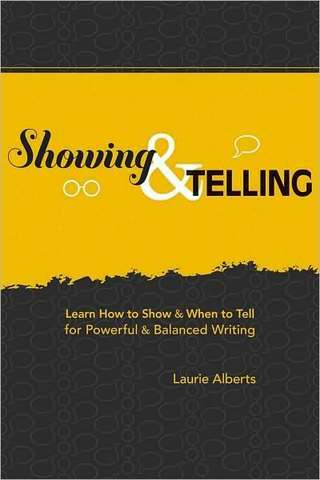 This book breaks down when to show and when to tell, making it easy to know when it’s time to push fast forward and when it’s time to slow down and focus on the drama. Writing the Blockbuster Novel: This book is really about writing the big novel, the family saga, the crime drama, the war novel. The author focuses strongly on movies like the Godfather, Star Wars, and Gone with the Wind, all novels that transcended the genre and left a lasting impression. If it were written today, I have no doubt it would include the likes of Harry Potter and perhaps the Girl with the Dragon Tattoo. If you’re interested in untangling the essence of the novel that communicates big ideas to a broad audience, this is the place to start. A lot of writers aren’t interested in writing this kind of book. That’s fine. For me, there is no shame in wanting to write something that is fun, entertaining and touches a massive swath of the reading populace. 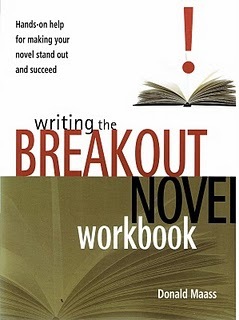 Writing the Breakout Novel, by Donald Maass: This book covers some of the same territory as Writing the Blockbuster Novel, like larger than life characters, life and death stakes and other facets of the big, commercial novel. While everyone doesn’t want to write the next monster novel, anyone can benefit from Mr. Maass’ extensive experience as a literary agent and author of 17 books. Maass represents writers like James Patterson, and he knows firsthand what makes a novel rise above the masses. He uses his own clients as case studies, as he works through how to deliver a strong sense of time and place, create world beating characters and deliver razor wire tension and universal themes that will resonate with a broad audience.